Talking about his new role as a judge and how he is handling eliminations, Amaal told news agency here: "Look, I am not Anu Malik, I am a new Mallik…(laughs) so, I am really sensitive towards kids and whenever I comment on a participant's performance in a critical manner, I make sure that I am honest but not harsh because at the end of the day, they are children." Amaal is the nephew of singer-composer Anu Malik, who judged a singing-based reality show "Indian Idol" last year till he was accused of sexual harassment. While judging, some felt that Anu used to make harsh comments. "Sa Re Ga Ma Pa L'il Champs", which will premiere on February 9 on Zee TV, offers a platform to young singers between the age of 5 and 15. 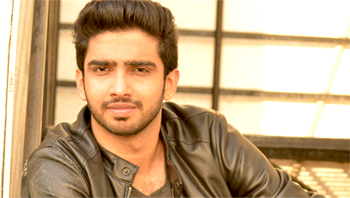 Amaal started his career in 2014 in Bollywood. He has made hit songs like "Sooraj dooba hain", "Main hoon hero tera" and "Aashiq surrender hua". He is co-judging along with singers Richa Sharma and Shaan. He is one of the youngest judges of the show. Asked about his contribution, Amaal said: "I have got a chance to help them to become the singing stars of tomorrow, I am happy."